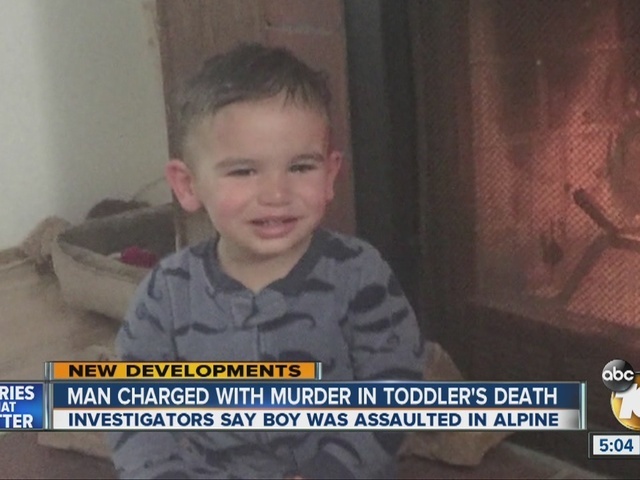 SAN DIEGO (CNS) - The cause of a 19-month-old boy's death Monday in Alpine was determined to be blunt-force trauma and a homicide, the Medical Examiner said Saturday. Brett Brown of Alpine, 29, was taken into custody by Alpine sheriff's deputies and booked on suspicion of murder and child abuse three days after deputies and medics were sent to 2157 Arnold Way to investigate a report of a child suffering from severe trauma sustained in a fall, Sheriff's Homicide Lt. Kenneth Nelson said. The toddler, Lucas Orlando, was taken to Rady Children's Hospital to be treated, but died from his injuries Wednesday. "Based on the nature of the injuries and evidence gathered in the case, detectives from the Sheriff's Homicide Detail, Child Abuse Unit and the Alpine Command investigated the case as a possible homicide,'' Nelson said. Police did not immediately disclose the nature of the relationship between Brown and the victim. Anyone with additional information on the case was asked to call the sheriff's department at (858) 974-2321 or (858) 565-5200. Anonymous tips can be made by contacting Crime Stoppers at (888) 580-8477.